There’s been a lot of changes to the mattress industry over the past several years. These changes affect all aspects of the industry. Online ordering and easy shipping greatly expand the options consumers have when choosing a mattress. Innovative construction techniques have made mattresses cheaper, better, and more environmentally friendly. However, one thing that hasn’t changed is Urban Green’s approach to mattresses. The company has been making mattresses by hand since 1902. They continue to do so today. Urban Green offers some unique and appealing mattress options. We’ll talk about what makes these mattresses special. Then we’ll go over some of the options for you. Finally, we’ve got all the information on pricing, shipping, and warranties that you need. We’ll finish by explaining who would benefit the most from an Urban Green Mattress. Use this information to decide if Urban Green is the mattress that you’ve been looking for. Should I Buy the Urban Green Mattress? The things that stands out the most for an Urban Green mattress is the unique and innovative construction techniques and materials the company uses. These techniques and materials provide a sleep experience that you won’t find with any other mattress. The first thing that sets Urban Green mattresses apart from the competition is the materials they use. Scientific advances allow companies to mass-produce chemically-created mattresses for the public. You won’t find any of that at Urban Green. Instead, the mattresses on offer use natural materials. This makes them hypoallergenic. It also provides a deeper, more natural sleep. 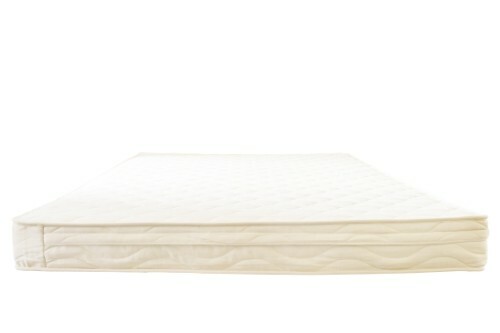 The materials include natural Talalay latex, horse hair, and natural American cotton. That’s a huge difference compared to other companies, that use “whatever it is we pour into the injection molds”. The mattresses also use Pure Wool covers. This acts as a natural dust mite repellent. It also helps to regulate body temperature. That keeps you from getting too hot or too cold. It may seem strange that wool can help you from getting too hot. After all, most people associate wool with things like sweaters, which we use to stay warm. However, the Pure wool in these mattresses acts to wick moisture away from your body. That helps keep you cool. When moisture is drawn away from the body, it takes heat with it. Finally, Urban Green makes chemical-free mattresses. Federal laws mandate that all mattresses have a fire retardant. However, you can get an exemption to this if you email or fax them a note or prescription from your medical doctor. That means people that are highly sensitive to chemicals finally have an option. Other modern mattress companies specialize in one type of mattress. Urban Green specializes in producing the mattress that you’ve been dreaming of. Their options range from Euro-style pillow toppers to sleek natural latex mattresses. They also offer Certified Organic innerspring mattresses. That means that no matter what kind of mattress you prefer, Urban Green has an option to fit your needs. Moreover, you can customize many of the mattresses that Urban Green offers. You do this by changing the order of the cotton, wool, or latex layers in the mattress. That means they’re a great option for people that have changing sleep needs. Finally, Urban Green offers all of their mattresses in all sizes. All of their lines even offer toddler sizes. That’s a huge difference from some other companies. They only produce their mattresses in certain sizes. This is because of the way the mattresses are manufactured. However, Urban Green makes each mattress by hand. As a result, you can get a customized sleep experience that you can’t replicate with another mattress company. No two Urban Green mattresses are exactly alike. That’s because they’re made by hand. They’re not mass produced like most other mattresses are today. As a result, you should give a little bit of leeway in the actual measurements of the mattress. They might differ by as much as 1” in any given direction compared to the estimates you get on the website. Additionally, each mattress is made in America. Specifically, all production takes place in NYC. That means buying a mattress from Urban Green goes to support American workers and American industry. The nature of this hand-made quality is appealing to many types of sleepers. It offers a way to set your mattress apart from the crowd. It also gives you the ability to admire the all-American craftsmanship that goes into each and every mattress. Why have the same mattress as everyone else when you can have one that was hand-made especially for you? There are many different mattress options at Urban Green. We’ll cover some of the most popular options. Our list includes all different types of mattress, so you can see the range of quality options the company has available. The Metta Bed mattress is made from natural latex. This is combined with cotton and wool to give a perfect night’s sleep. Natural latex is more springy than artificial latex. This gives it more bounce and response. As a result, it functions much more like a traditional inner-spring mattress. You can customize the firmness, from medium to firm. That means you can get the perfect feel for your perfect rest. The White Lotus mattress is a great example of a chemical-free mattress. It’s made from 100% organic cotton layers. Moreover, the mattress has been hand-crafted since 1981. That means that Urban Green has been producing this mattress for almost three times as long as most modern online mattress companies have been in business. The White Lotus has a medium-firm feel. It works best with a box spring or platform bed. The Dreamton is the core of the Urban Green mattress line. Many of the other mattresses they sell are based on this design. And that’s a good thing. The mattress is made from 3” of natural latex. This acts as the core of the mattress. This is surrounded by layers of Green Cotton. Finally, it’s wrapped in 1.5” of Pure Wool. The wool functions as a natural dust mite repellant and helps to regulate body temperature. It wicks moisture away from your body when it’s warm, helping to keep you cool. This mattress is softer than the Cotton and Wool Dreamton. The latex core offers a bit more give. The Green Cotton and wool act as soft contact points on the surface. This mattress offers a 6” latex core wrapped in pure wool with a 100% organic cotton casing. The latex is all-natural, so there’s no chemicals to worry about. It’s a medium for mattress firmness. The wool and cotton covers provide an extremely soft contact point. 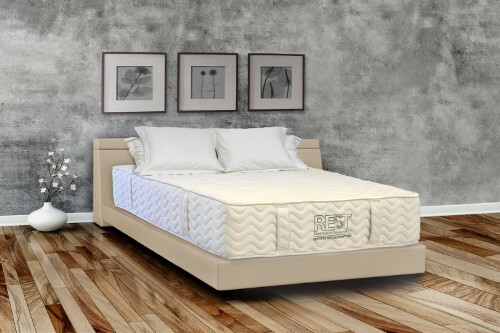 One of the best thing about natural latex mattresses is that they’re more responsive than other types of modern mattresses. One of the biggest issues people have with memory foam is that they feel like they sink into the mattress. This can create a feeling like the mattress is swallowing you. It can also create uncomfortable lumps and bumps as you move about in your sleep. Natural latex is incredibly responsive. That means it conforms to your body, but it also shifts with you when you change position. As a result, you don’t get the same issues people complain about with memory foam. 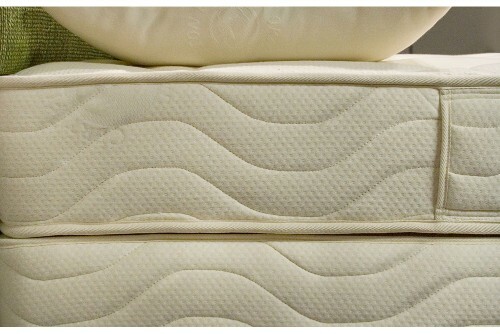 Natural latex is also more comfortable for people than most inner-spring mattresses. It provides a good level of bounce and responsiveness while still letting you sink into the mattress. This offers a tremendous amount of support, as the latex core adapts to your body. That means it will be comfortable no matter how you like to sleep. This mattress has a cotton core. It’s made of 100% organic cotton layers. There’s a layer of Pure Wool around the cotton layered core. The outer casing is made from GOTS certified organic cotton. It is the firmest mattress that Urban Green makes. This is one of the many mattresses that Urban Green offers with a Euro-style pillow topper. That means the topper is sewn into the mattress under the cover. This creates a soft, luxurious feel. It lets you enjoy the softness of the topper before the cotton core starts offering the support you need for a good and healthy rest. The wool wrap around the mattress acts as a flame retardant. It also helps to regulate your body temperature. That means you can sleep cool in the summer and rest in toasty warmth during the winter months. The boulder design is made in the same style as firm mattresses that are traditional in India and Japan. This mattress is medium-firm and offers great support for back and side sleepers alike. It’s made of a cotton core with 100% organic cotton layers. The organic cotton core is wrapped in 1.5” of Pure Wool. This acts as a flame retardant and helps regulate your body temperature as you sleep. The organic cotton used to make this mattress is soft to the touch. That means it provides a relaxing feel when you get into bed. However, it gets more firm under pressure. As a result, it still offers the support that you need from your mattress. We know there’s more to mattress shopping than the mattress itself. That’s why we put together the best information we could find on the parts of buying a mattress you may not have considered. Use this information to help you decide if Urban Green is the mattress solution you’ve been looking for. Shipping takes between 2 to 10 business days from the time the mattress leaves the shop. If you live in the NY Metropolitan area, then you also have options for White Glove delivery and in-store pickup for even more convenience. The price of shipping varies. It depends on the mattress you order. It also depends on the rate for local parcel delivery or freight delivery services. Freight delivery operates between 8AM and 5PM Monday to Friday only. You can’t ship to a PO box, and Urban Green only ships to the contiguous 48 states. You can contact them to get assistance for delivery to Alaska, Hawaii, Puerto Rico, and Canada. Each mattress has its own warranty period. That’s because each mattress is hand-made. Therefore, you’ll have to check on the specific mattress you’re interested in to get information on the warranty. If you need a chemical free mattress, then Urban Green is the mattress company you’ve been looking for. 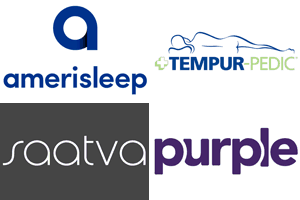 They offer more chemical free mattresses than any other company we’ve looked at. This makes them a great choice for people that are sensitive to chemicals. Urban Green is also a great choice for people who want hand-crafted style without breaking the bank. Given that their mattresses are all produced by hand, the price is very reasonable. They’ve been in businesses since 1902, which is a track record of success that hardly any other mattress company on the market today can match. Urban Green is also a great choice if you want a mattress with all natural or certified organic materials. They have unique and innovative construction techniques that let these materials perform at their best. The company also offers a good blend of firmness, from very firm to soft. All told, a mattress from Urban Green is a quality decision.